In her essay Four Theses on the Comrade, Jodi Dean writes about the remnant communist factions around the world, ‘On the one side, we have survivors, those with nothing left to cling to but their identities, often identities forged through struggles to survive and attached to the pain and trauma of these struggles. On the other, we have systems, processes operating at a scale so vast, so complex, that we can scarcely conceive them let alone affect them.’ On 25th May, a gathering of such survivors huddled at Studio Safdar, tucked along May Day Bookstore, in West Delhi’s Shadipur, to commemorate the life and work of Comrade Ramchandra Singh at the launch of the English edition of his jail writings, 13 Years: A Naxalite’s Prison Diary. Given the predictably sparse turnout and lack of media and reader interest, one wonders about the futility of such solidary gestures. Yet against great odds we see people’s movements continue with their struggles; we see leaders bravely face unrelenting onslaughts. Singh was one such individual till his death a few weeks before this book was published. ‘Com Singh wanted to go to Bhangar if the leg he had fractured became alright. He stayed at the party office for a few months, getting treatment,’ CPI-ML Red Star’s general secretary and octogenarian K.N. Ramachandran told the thirty-odd listeners seated close to the speakers in the theatre’s pit. 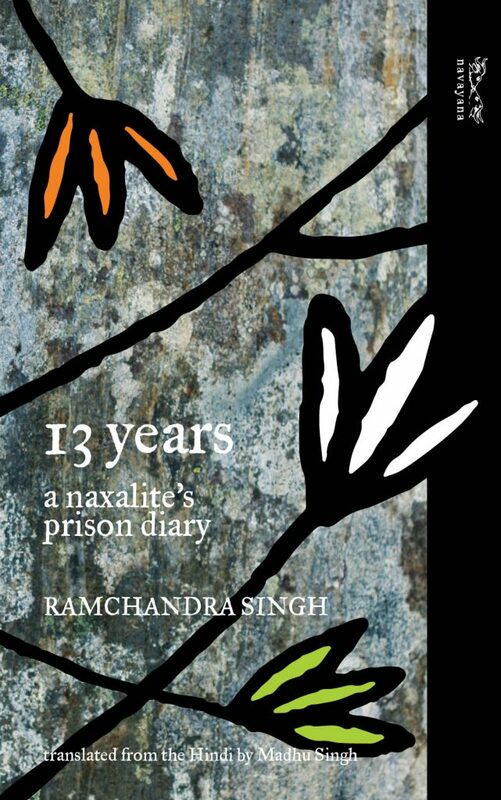 Thirteen years in prison, and the fragmentation of the Naxalite movements by the time he was released, did not shatter Singh’s dreams of egalitarianism. He exemplified the word ‘comrade’. First among the speakers to arrive was Kavita Krishnan of the CPI-ML. Entering Studio Safdar, she said, ‘This place looks so European…’ The bare black walls of the warehouse-like studio seemed made for the contrarian spirit of the assembly. Aman Sethi, an editor at HuffPost, Anand Swaroop Verma, who serialised Singh’s jail diary in 1984 when he was joint editor at Rashtriya Sahara in Lucknow, and Madhu Singh, the translator, soon joined. Singh’s wife Vimla Devi, son Rishi and daughter-in-law Kiran had travelled all the way from Bangarmau to Lucknow to Delhi by bus, and they were accompanied by Singh’s daugher Ridhi Rachna and son-in-law Rajesh Singh, both residents of Noida. Their collective presence underlined yet made up for Singh’s absence. Kavita Krishnan was affected by the relentlessness of the book. 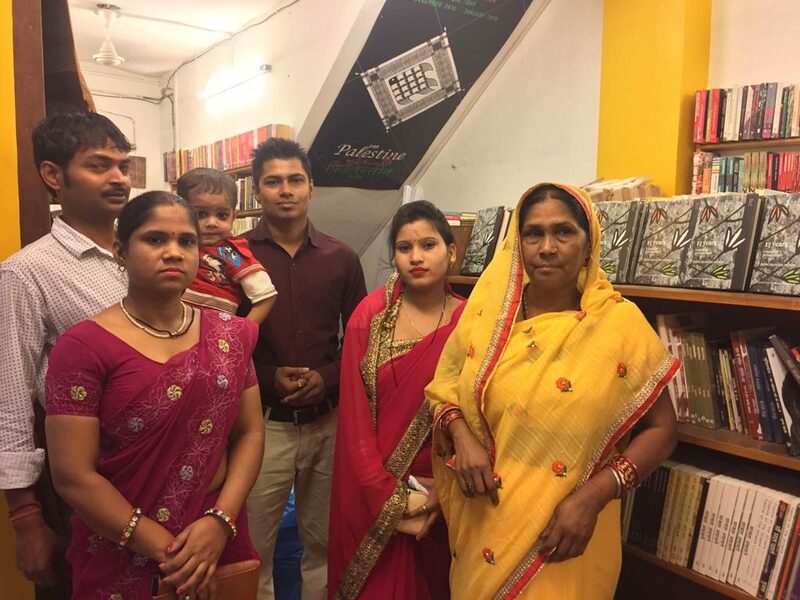 ‘It demanded to be read in one stretch.’ She felt that the purpose that drove Ramchandra Singh was an impartial commitment. His life was all about reaching out to people who weren’t really partisans—even in the prison he strikes easy friendships across the board. Today we see people who watch Zee News and such having no qualms in saying that Naxalites should be tortured and killed, said Krishnan. The counterpoint to this is Com Singh, a true revolutionary for whom without love the work of confronting oppressive systems was pointless. Sethi wondered why this feeling—solidarity—was absent today, with systems getting more and more oppressive and our indifference equally brutal. The post-liberalisation generation seems to have set its horizon of politics within the limits of the ruling ideology. Verma attributed this to the changed nature of media in the last couple of decades. But then, Sethi countered, the very existence of a figure like Verma (who till last year published the Hindi monthly Samkaleen Teesri Duniya), contradicted this claim. 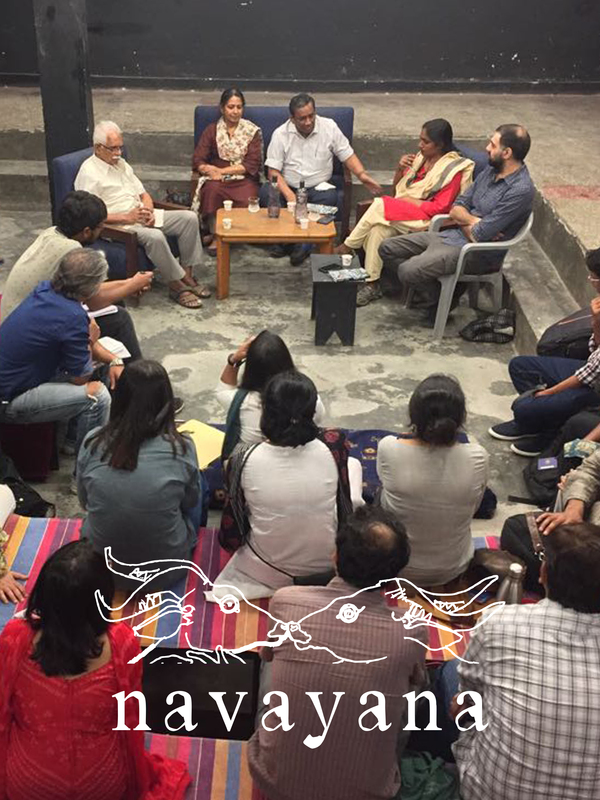 Verma maintained that even he felt the constrictions now: the space available to him and indeed any anti-establishment publisher was shrinking by the day. Krishnan added that while acknowledging the weakening of progressive movements over the decades, one must also admit to and admire the growing diversity within these movements. The university, she pointed out, was a space where this tendency was most visible. She spoke of her own case: early on, she had been a student who knew nothing about progressive movements, but the intrinsic need to somehow address the inequality of the world, which manifests itself most strongly in the university, drove her towards building her own politics. This, she said, remains true even today. Madhu Singh, who had translated Singh’s diary from Hindi, noted her own discomfort in dealing with such an ideologically charged book. But its literary strength had captivated her. Singh, always kind and helpful, clarified not just aspects of his story but also the nuances of his ideology over meetings at Lucknow’s India Coffee House. This made the task of translation all the more urgent: it is narratives such as these that resist the all-encompassing eyes of ruling discourses, which allow us to see a different truth on the ground, offering us histories that are often wished away. 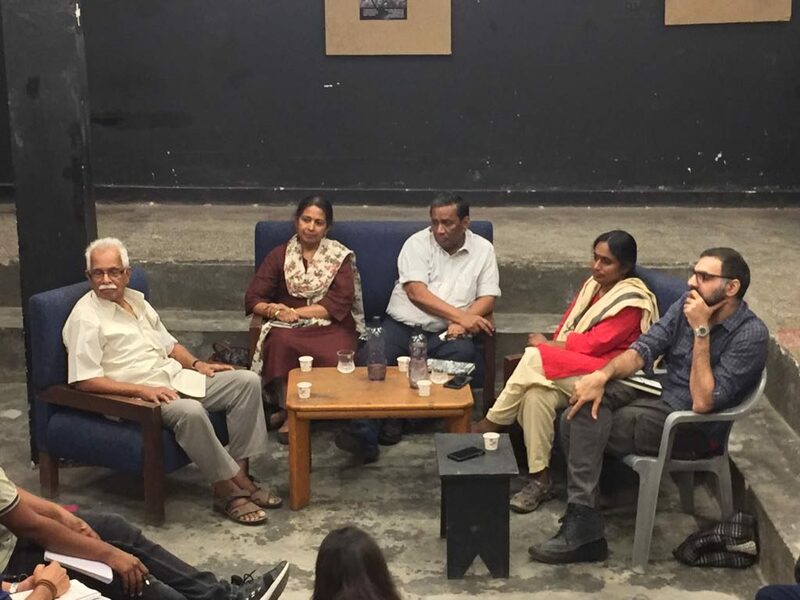 Verma ended the evening reading an excerpt from the 1984 version of the memoir which did not figure in the English edition, which was based on the May 1991 edition put together by the journal Samkaleen Dastavez. In it, Singh speaks of the loss of words he felt on seeing his mother’s face after thirteen years of jail. He speaks of the love which marked this wordlessness, the love of the mother for a son, and of the son for the mother. This love, Singh writes, is what he felt for his desh, India, when he fought against oppressors and for an egalitarian society. Verma reminded us of the wantonness with which the term ‘anti-national’ is thrown around nowadays, and ended with a question: if a Naxalite like Ramchandra Singh is anti-national, who remains a patriot today?